The deadline for the Pobal Service Profile has been extended to 12 midnight on Friday 26th May, we would kindly ask you to complete this if you have not already done so. Information packs about the affordable childcare scheme were sent to each childcare service this week, information for parents will be available next week on www.affordablechidcare.ie. If you have any queries please contact us on 0404 64455. The deadline for CCS returns is June 2nd. There are a few places left in the next course starting in The Glenview Hotel on Saturday 27th May. To book a place on this or any other course, please complete our online booking form. 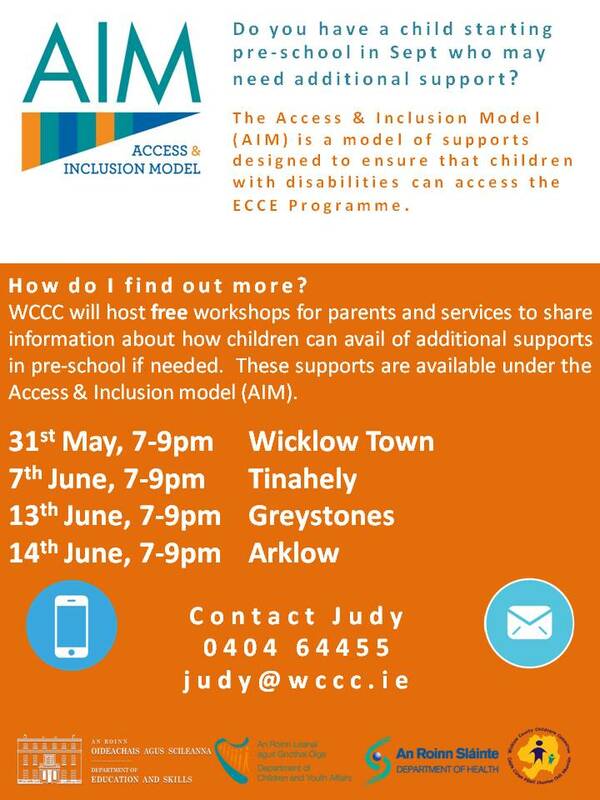 Please contact judy@wccc.ie for more info.